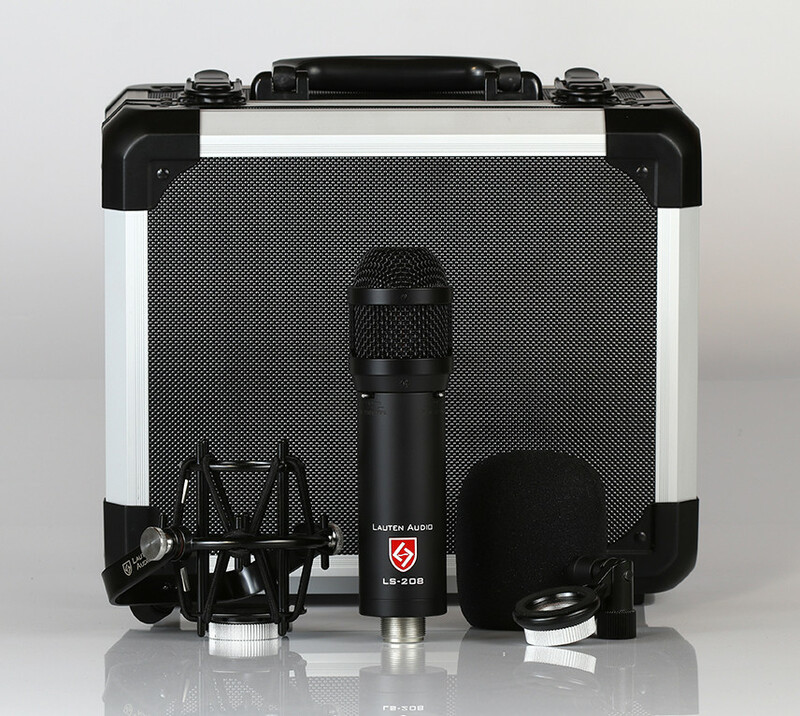 Lauten Audio introduces new front-address, large-diaphragm condenser microphone. A broadcast style shock mount and hard mount, windscreen and storage case are also included. London Colney, UK – Lauten Audio has announced the release of the LS-208, a front-address, large diaphragm condenser microphone with extremely high dynamic range. 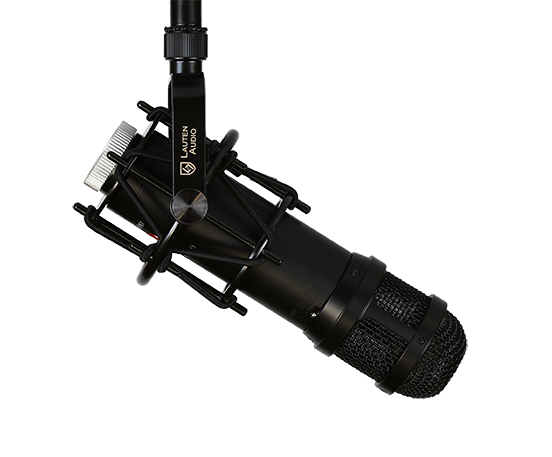 Designed primarily for speech recording in broadcast, the LS-208 can equally be employed as a high-quality stage mic, or for vocal and instrument recording in the studio. The first in the company’s new “Synergy Series”, the LS-208 excels in capturing podcasts, radio and broadcast with a high level of detail. The incredibly wide dynamic range also provides opportunities for use in stage and touring productions, as well as many recording studio environments. Constructed from the same top quality components found in other high-end studio condensers, the body of the LS-208 is simultaneously built to withstand the rigours of broadcast and touring. The LS-208 features powerful off-axis rejection and an internally shock mounted condenser element, and can handle sound pressure levels of 135dB without the need for internal or external pre-attenuation. This provides for an ultra-wide dynamic range, capturing the full human audio perception of 120 dB, a highly unique feature for a microphone of this type, as many microphones are limited to 85 dB of dynamic range after compensating for self-noise. This extensive dynamic range gives engineers the ability to capture brilliant recordings of highly dynamic instruments in many environments, and is especially useful for capturing horns, percussion, and guitar amps. The Lauten Audio LS-208 also comes equipped with on-board independent, multi-stage high and low-cut filters, to aid engineers in shaping the sound at the source, and reducing the need for additional EQ. The 2-stage low-cut (50 and 120 Hz) filters reduce low-end rumble and the presence of the proximity effect in vocal applications, whilst the 2-stage high-cut (8 & 10 kHz) filters help to tame overly-bright instruments and higher frequencies. In addition, the internally shock-mounted condenser elements of the LS-208 help in reducing mechanical shock and vibrations. The LS-208 uses a cardioid polar pattern, requires 48V phantom power for operation, and features a JFET transistor circuit with a transformer-based, balanced output. A set of purpose-built accessories are also included – a detachable spider shock mount and a detachable hard mount, both with adjustable elbows; a foam windscreen; and a hard storage and transportation case to house and protect the mic and all accessories. The Lauten Audio LS-208 is available and shipping now.